The ideal bag probably exists, but I haven’t met it yet – and nor has Clément Farcy! 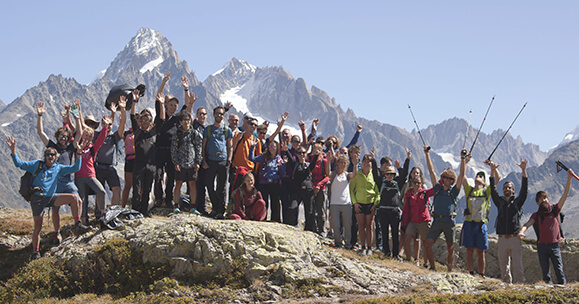 But Lafuma product manager Clément has some clear ideas about matching the right model with the right use. When planning a weekend in town, opt for a cabin size – and bypass a tedious check-in of hold luggage. The Carry Air,for example, can be carried like a backpack or in your hand: tuck away the shoulder straps when you reach the airport, so that “when you stow it in the overhead locker on-board, the straps don’t snag everywhere!” says Clément. This bag has three distinct sections: on one side your laptop and various IT accessories; on the other, your clothes; and lastly, a small easy-access organiser pocket on the front, to keep your wallet, passports, etc. close to hand. Its 40-litre capacity is ideal for trips lasting two to five days. When out and about downtown, Sylvain Bazin, a professional globetrotter (yes, the job really does exist!) 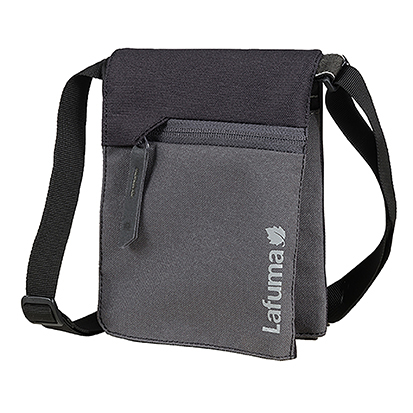 and Lafuma technical partner, professes to using a backpack, which is more comfortable: “I’m a keen user! 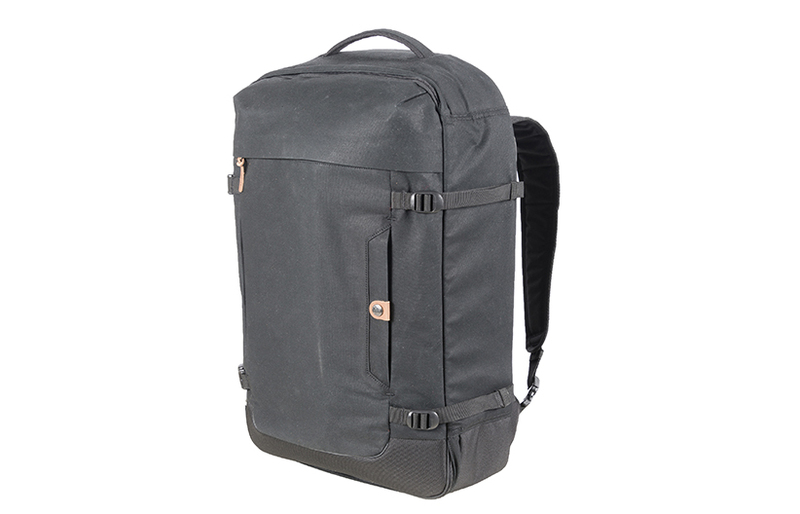 A backpack is more balanced on the back than a sling design. 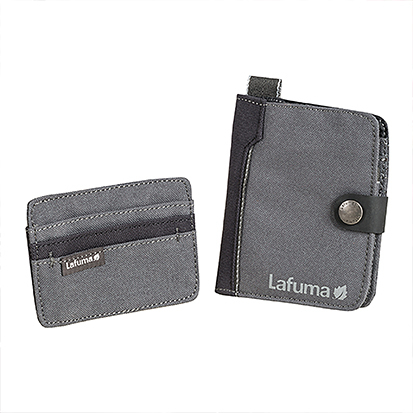 And nowadays, they come in seriously urban styles!” For its urban ranges, Lafuma has thus picked an original, high-quality, all-recycled fabric with an appealing heathered look, plus a reinforced pack-base material, while paying special care to detailing. For a short trip, a design like the GoTo 17 is just the ticket. 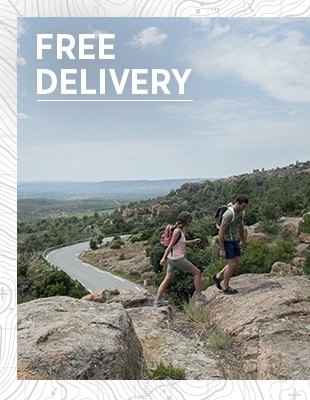 It’s a backpack designed for the daily commute, with an added suitcase compartment for clothes (a spare pair of jeans and some other items) in case you’re grabbed by a sudden urge to take off! It comes in several models to accommodate your screen size (17, 15 or 14 inch). 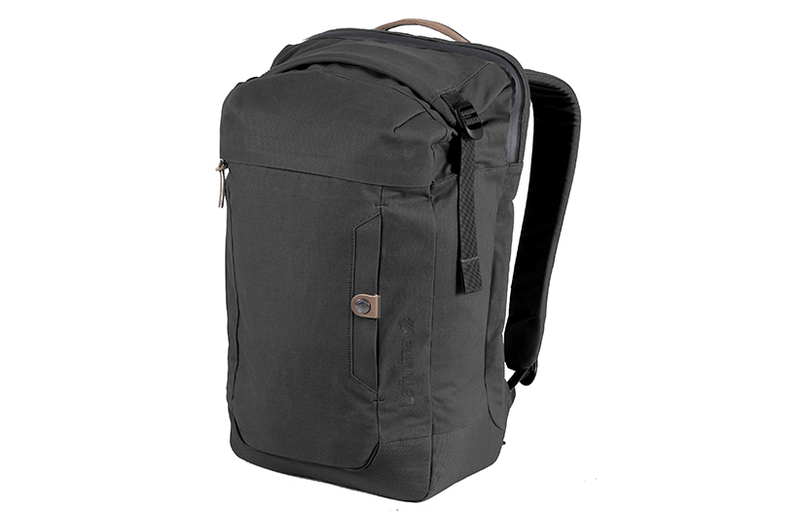 A backpack is more balanced on the back than a sling design. 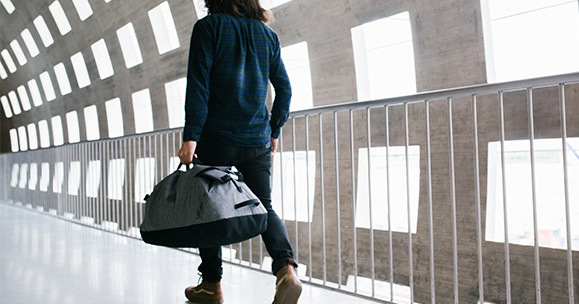 It’s a backpack designed for the daily commute, with an added suitcase compartment for clothes (a spare pair of jeans and some other items) in case you’re grabbed by a sudden urge to take off! It comes in several models to accommodate your screen size (17, 15 or 14 inch). 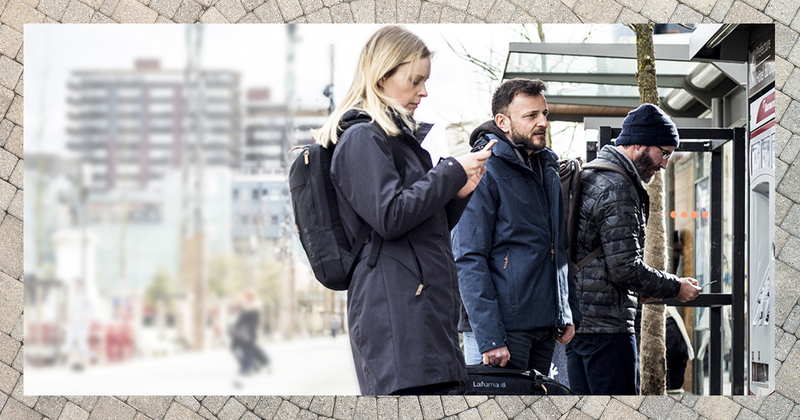 Once on location, in Amsterdam or Prague, your bag mostly stays at the hotel. Hopping between museums and cathedrals, you’ll preferably carry just your essential bits and pieces – lightness is priceless! Lafuma has designed some accessories for a “nomadic mindset”. The Hartsfieldwallet has a removable card-holder; the Heathrowcan keep all your travel documents neatly sorted (passports, business cards, pen, MP3 earbuds, boarding pass…). 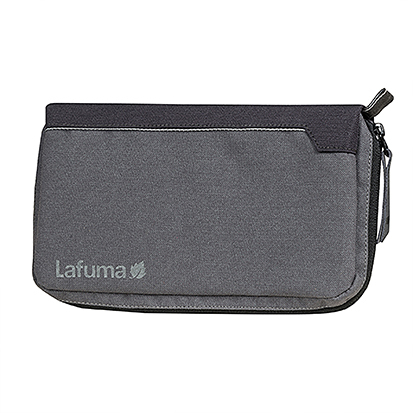 Lastly, small sling packs like the Shangi (horizontal format), Tambo (vertical format) and Baiyun (opens up fourfold, for viewing A4 documents through a clear window) will keep a spring in your step on the cobblestones. A nifty detail: the sling strap is detachable, so you can fasten these packs to your waist belt. 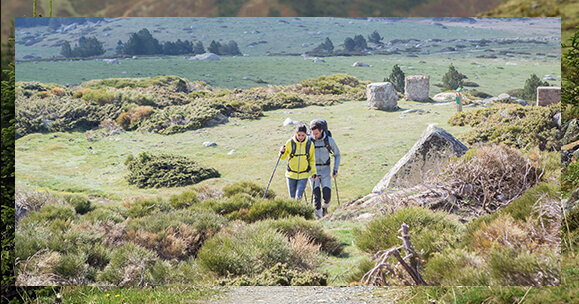 ergonomic shoulder straps that snugly press the pack on your back; compression straps to keep the pack compact when it’s half full; a hi-vis strip for cyclists; and “the roll closure on top of the pack, like on the GoTo15, which is clearly borrowed from waterproof packs for the outdoors,” explains Clément Farcy. Another example? 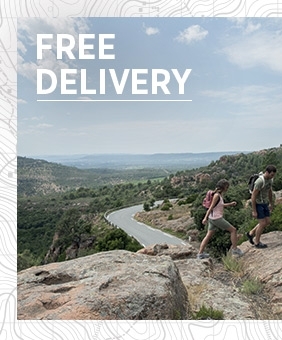 “The laptop compartment has a water-repellent zip which has crossed over from the sports world!” Whatever your terrain (cobbles, rocks, asphalt or grass), be sure your bag’s fit for purpose!